Hillary Clinton's six-point lead over Donald Trump in last month's CBS News poll has now evaporated. As of mid-July (even before Trump enjoys a predictable post-convention bump in the polls) she is tied with him. Each garners the support of 40 percent of voters. This is astounding, given that Trump's campaign is in shambles while hers is a well-oiled machine; that he's done almost no advertising while she began the month spending $500,000 a day on ads; and that Republican leaders are deserting him while Democrats are lining up behind her. What happened? Apparently the FBI's recent report on Clinton's email heightened what already were public concerns about her honesty and trustworthiness. Last month, on that same CBS poll, 62 percent of voters said she's not honest and trustworthy; now 67 percent of voters have that view. I've known Hillary Clinton since she was 19 years old. For 25 years I've watched as she and her husband became quarries of the media -- especially, but not solely, the right-wing media. I was there in 1992 when she defended her husband against Jennifer Flower's charges of infidelity. I was in the cabinet when she was accused of fraudulent dealings in Whitewater, and then accused of wrongdoing in the serial rumor mills of "Travelgate" and "Troopergate," followed by withering criticism of her role as chair of Bill Clinton's healthcare task force. I saw her be accused of conspiracy in the tragic suicide of Vince Foster, her friend and former colleague, who, not incidentally, wrote shortly before his death that "here [in Washington] ruining people is considered sport." Rush Limbaugh claimed that "Vince Foster was murdered in an apartment owned by Hillary Clinton," and the New York Post reported that administration officials "frantically scrambled" to remove from Foster's office safe a previously unreported set of files, some of them related to Whitewater. I saw Kennth Starr's Whitewater investigation metastasize into the soap opera of Bill Clinton's second term, featuring Monica Lewinsky, Paula Jones, and Juanita Broaddrick, among others -- culminating in Bill Clinton's impeachment and Hillary's very public (and, presumably, intensely private) humiliation. 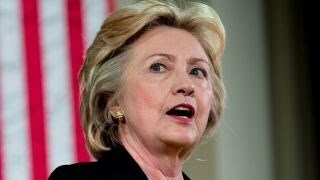 Then, more recently, came the storm over Benghazi, which led to inquiries about her email server, followed by the questions about whether or how the Clinton Foundation charitable work and the Clintons' own for-profit speeches might have intersected with her work at the State Department. It is worth noting that despite all the stories, allegations, accusations, insinuations, and investigations spread over a quarter century -- there has never been any finding that Hillary Clinton engaged in illegal behavior. But it's understandable why someone who has been under such relentless attack for a large portion of her adult life might be reluctant to expose every minor error or misstep that could be blown up into another "scandal," another media circus, another interminable set of investigations generating half-baked conspiracy theories and seemingly endless implications of wrongdoing.